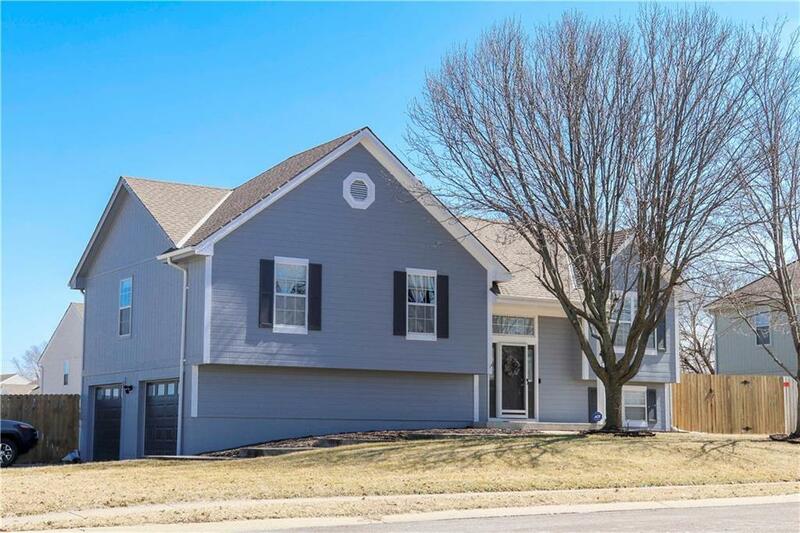 This is an amazing home that has been so well maintained. Move right in and start enjoying this home. Current owners have left a list of their updates they have made that include painting the house in 2017, New Kitchen appliances 2018 stay with the home, installed new 3rd bath in the basement in 2019 just to name a few. This family had done all the hard work so that your family doesnât have to. Come & check out this 3 bdrm, 3 bathrm home on an amazing lot, with a private backyard, and small shed, Large garage! Directions: While going South on Highway 71/49 turn RIGHT or South on Exit 174 or Highway 58, Turn South or left on South Mullen Rd, Turn West or Right on 173rd Street, follow the road around the curve, then turn Right or West on Winesap Ct. Home is at the corner of Apple Blossom Ln and Winesap CT. Driveway is off of Winesap CT.